GP Cycle Pro leads the force where it belongs: on the pedal. 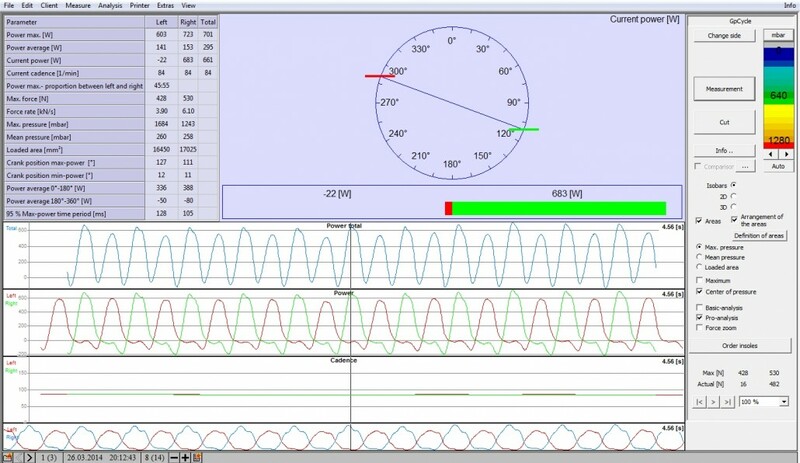 In addition to the existing foot pressure and force analysis GP Cycle, GP Cycle Pro allows for the analysis of the force and power distribution in the shoe, including exact measurements in Watt. 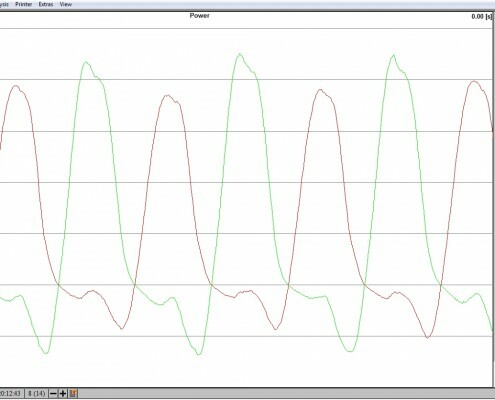 Using a thin and flexible measurement film in the shoe, GP Cycle Pro analyses the performance indicators for the left and right foot separately and dynamically while pedalling. This allows for the identification of potential asymmetries. Furthermore, the rider’s performance in all seating positions and at each crank position can be analysed. The measurement film wirelessly transmits the data collected in the shoe. This enables a measurement both inside on the trainer and outside on the road. The measurement film can be used with all cycling shoes and with all pedal systems. 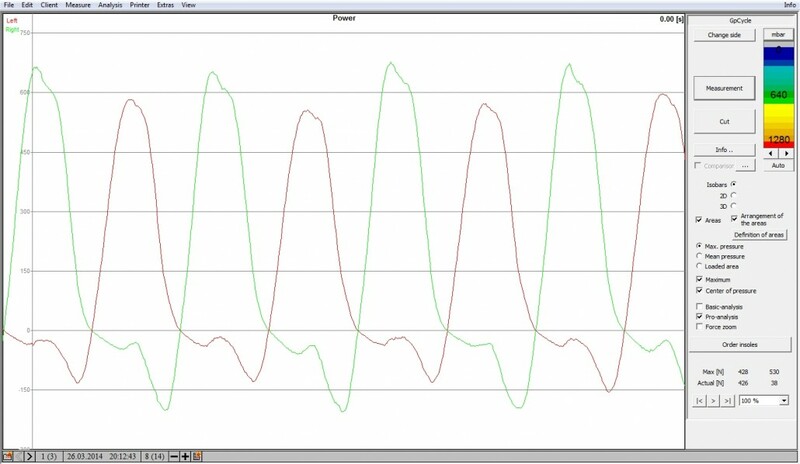 This makes GP Cycle Pro the perfect instrument for analysing and optimizing the pedalling technique. Furthermore, changes made during the bikefitting process can now directly be assessed concerning their influence on the performance.